The military trend is having a moment (again) and I'm all in! From the recent streets of fashion weeks - New York to Paris- army inspired outfits were front and center. Now that spring has sprung, the army trend is a great way to transition and beat the lingering chill. As I've mentioned before, an army jacket is a must-have wardrobe staple (see how I style mine here). and may need to add some classic camo to my closet as well. 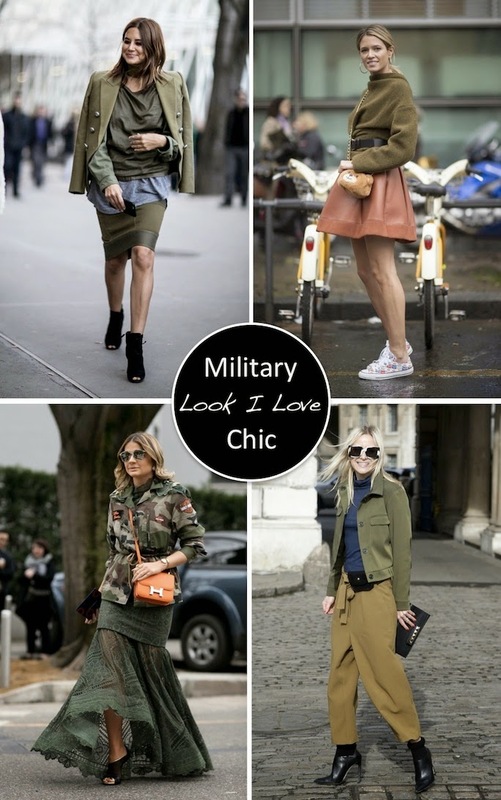 Just make sure to turn up the "chic" this season, as this military trend is more fashion than function.